It’s mind boggling to comprehend that we share this planet with over seven billion other people, all with dreams and hopes and worries and struggles. We live different lives, yet we all share so much in common. But no matter how many people share this world or how much you have in common with others, there are differences… and that is what makes every human being that has ever lived, or ever will live unique. That is what makes you unique. You may not think so but you are special. You are unique. The reason why…there is not another person in the world who thinks exactly like you do. Not one. You are unique in how you see the world, how you interpret your life and the space around you; how you interact with others and how you live each and every day. You are unique in how you choose to create your life experience, the meaning you give to each passing moment, and in every decision, you make or don’t. You are the combination of everything that you have learned and experienced that makes you truly different from everyone else on this planet. Others may share some of your talents and abilities, but there is no one who is identical to you. Think of it as an artist painting a picture; even if another artist were to copy the picture as closely as possible it would never be identical. Different brush strokes or different combinations of paint would have been used, and each masterpiece then becomes its own. Embrace your uniqueness and the fact that you have a contribution to make to this world. Make an impact on this world while you are here. Others will be affected by your life and your presence here, whether you realize it or not. Those you love and those who love you, will have been changed in a way that could not have happened had you never lived. Go out into the world and feel free to live your life in the best manner your unique self can but in doing so live to be a true, authentic, and real individual. Don’t hide behind falsehood and deception. Don’t concern yourself with others criticism or judgements. Be unique. You only have one life. And as long as you live a life that doesn’t hurt or harm others, you have the opportunity –and duty – to live your best unique life. Let that be your starting point, your living point, your end point. 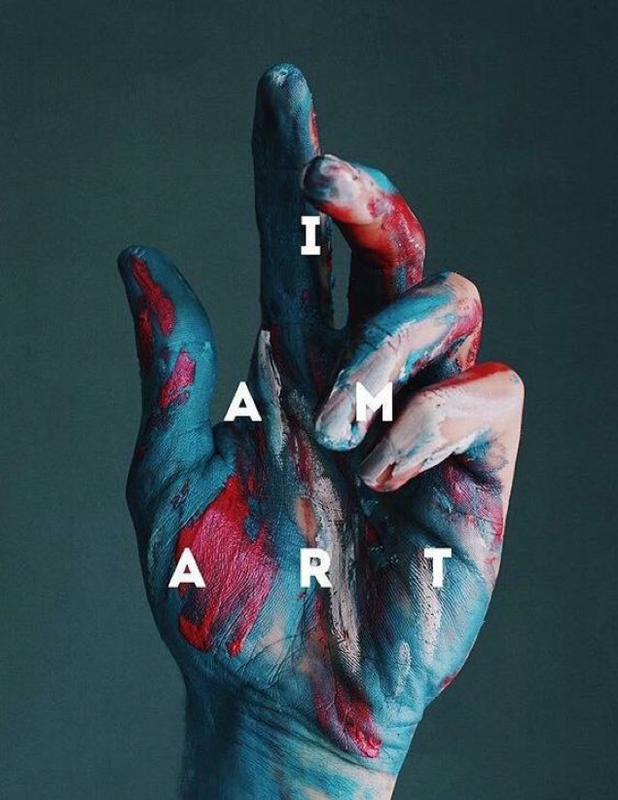 Tell yourself… “I Am Art”.